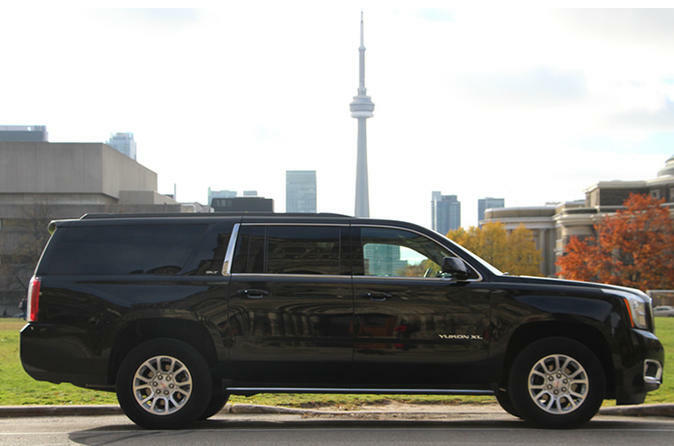 The tour guide will pick you up in a SUV from your Toronto hotel at any time of your choice. The tour guide will point our many popular points of interest including the Floral Clock (seasonal), Niagara River and Whirlpool Rapids, Sir Adam Beck Power Station, Queenston Heights, the Spanish Aero Car, Niagara Helicopters, Niagara Wineries, Niagara-on-the-Lake, Hornblower Boat Ride, Niagara Casino, Skylon Tower, the Journey Behind the Falls, and many more. Since this is a private tour, you can decide which attractions to visit. You are in complete control. You can stop in the town of Niagara-on-the-Lake for 45 minutes for window shopping and great picture opportunists. Your guide may suggest a visit to a local winery where you can sample a glass of wine for free. After Niagara on the Lake the tour guide will drive you to the Niagara River. If you wish you can take pictures at the Floral Clock, the Niagara Whirlpool, or hop on the Spanish Aero Car (additional cost). When you arrive in Niagara Falls there are many things to see and do. The most popular are the Hornblower Boat Ride (additional cost) and the Journey Behind the Falls (additional cost). They tour guide will give you his recommendations. If you wish to explore a little on your own, no problem. The tour guide can drop you off for an hour or two at Table Rock to see the Falls, or at Lundy's Lane for entertainment. The distance to Niagara Falls from Toronto is about 150 km or 1.5 hours.